Sugarmill Woods and Citrus County Florida welcomes you all! Hi folks, I'm Wayne Cormier, and I help clients BUY and SELL property in Citrus County, Florida. Call me right now at 352-422-0751. I live and work in Sugarmill Woods, a large community within Homosassa, Florida. 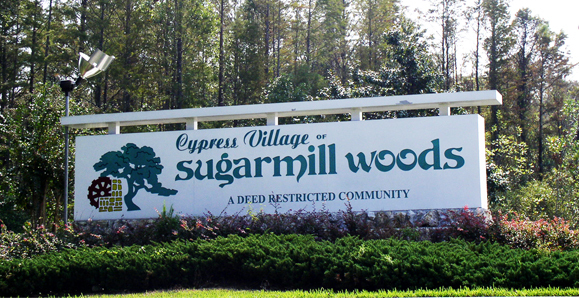 Sugarmill Woods is in Citrus County were you can have a wonderful rural life style just as my neighbors and friends do. Sugarmil Woods was one of the first planned developments in the nation to incorporate the "greenbelt" concept and utilize the existing natural flora and fauna in the layout of the community. What this means is that every home backs up to a section of native vegetation and forest instead of the neighbor's backyard. Resident's of Sugarmill Woods enjoy being at one with the natural beauty and peace that the surrounding environment offers. Do your dreams include Golf, Fishing (salt and fresh water), Horses, Waterfront property? I can help make your Dreams come true. Sugarmill Woods is just minutes from the Gulf Coast, and all the saltwater sport fishing you can imagine. In fact, the world record Tarpon was caught just off the coast of Citrus County Florida. My focus is on Sugarmill Woods, however I LIST and SELL properties in all of Citrus County. The communities including Citrus Hills (a retirement golf community) and Pine Ridge Estates, (a unique equestrian community). Citrus County is only 50 miles north of Tampa Florida on Route 589 and only 70 miles to Disney World in Orlando Florida. "Don't wait" pick up the phone and call (352) 422-0751 and lets get started making your Dreams a Reality! "Call any day of the week from 7:00 am to 10:00 pm, 365 days a year."